When people suffer brain injuries in accidents because of impacts to the head, they may suffer from lifelong medical complications. Brain-injured accident victims require an experienced legal advocate who is able to assist both the victims and their families with securing the long-term care that they might need. A traumatic brain injury, or TBI, may result from any incident causing a violent movement, a sudden jolt or an impact to the head. These types of sudden movements and impacts may result in post-concussion syndrome, permanent brain damage, paralysis or death. If you or your loved one has been involved in an accident in which a traumatic brain injury happened, you may need the advice of our California brain injury lawyers. 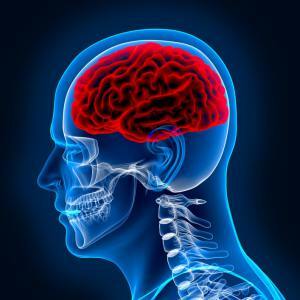 Our Los Angeles brain injury attorneys are experienced with helping the victims of trauma to the brain. According to statistics, more than 50,000 people are killed every year as a result of suffering traumatic brain injuries. More than 235,000 additional people require hospitalizations for the treatment of brain injuries each year. In addition, more than 435,000 people go to the emergency room for the treatment of brain injuries annually. According to the Centers for Disease Control and Prevention, 28 percent of TBIs are caused by fall accidents, 20 percent occur in vehicular accidents, 19 percent involve strikes to the head and 11 percent occur in some type of assault. The remaining causes are from either a transport accident or an unknown accident type. What are the Symptoms Associated With Head Trauma? Some of the symptoms that may occur because of receiving a traumatic brain injury relate to cognitive abilities, including memory, thinking, reasoning and decision-making. Other physical symptoms that may result occur in the sensory areas, including touch, sight and hearing. Functional changes may occur in a victim’s communication skills, logic and expression. In some cases, serious emotional problems may develop such as depression, anxiety, aggressive behaviors or acting out. If you have been injured in an accident, it is important that you seek out prompt medical attention to identify any potential medical problems that may be related to your accident. Magnetic resonance imaging or a head CT scans may be needed in order to fully determine the extent of damage to your brain and how best to treat it. If you delay seeing a doctor, it can lead to potentially longer term problems. In addition to the listed physical symptoms, people who have suffered moderate to severe traumatic brain injuries may evince cognitive or mental symptoms. These may include slurred speech, combative or unusual behavior, agitation, profound confusion, disorders of consciousness or coma. People who suffer moderate to severe traumatic brain injuries may have permanently altered lives. Some may require round-the-clock care and be left facing permanent disabilities. It is very important that you take your child to the doctor immediately if he or she has suffered a blow to his or her head. Getting prompt treatment may help your child’s long-term prognosis and aid in recovery. Head injuries may range from mild concussions to severe and traumatic brain injuries that may leave a person incapacitated for the remainder of his or her life. People who suffer mild traumatic brain injuries, which are called concussions, may then develop post-concussion syndrome. This may appear between seven and 10 days after the injury that caused the concussion. Post-concussion syndrome has symptoms of dizziness, headaches, fatigue, anxiety, insomnia, irritability, an inability to concentrate or loss of memory and sensitivity to noise or light. The symptoms of post-concussion syndrome normally go away after a few weeks, but they may continue for a year or more. The treatment of traumatic brain injuries is complex and may involve professionals from a number of different fields in serious cases. A diagnosis is usually made from a combination of observations along with CAT scans and MRIs in order to look for areas of the brain that have been damaged. X-rays may also be used if fractures are suspected. A variety of screening tools may also be used to measure a person’s speech, coordination, thought and memory. The tests that are used will often help doctors to determine the type of treatment that should be provided. Immediately following the diagnosis of a moderate or severe traumatic brain injury, the initial approach is normally stabilizing the patient with medications and surgery. Once the person is stable, the treatment may then be focused on rehabilitation to aid him or her in recovering lost functionalities. There are often numerous members on a severely brain-injured patient’s treatment team, including neurologists, psychiatrists, physical therapists, rehabilitation therapists, social workers and case managers. California law recognizes that the medical expenses associated with treating traumatic brain injuries may be astronomical. Because of that, injured plaintiffs are allowed to seek the recovery of their past and current medical expenses. In addition, they are also allowed to seek to recover the estimated future medical expenses that they may need in the future to pay for ongoing rehabilitation and treatment. An experienced personal injury attorney will seek the help of medical experts who are able to provide opinions about the cost and type of future treatment and rehabilitation needs. This can help an attorney to maximize the amount of damages that his or her client might recover in an accident. In order to make certain that your legal rights are protected, it is important for you to speak with an experienced personal injury lawyer. Our California attorneys are experienced in handling all matters of personal injury claims that involve head and skull traumas. If necessary, a good brain accident lawyer may make the appropriate referrals to medical specialists such as radiologists, neurologists and other doctors that are able to conduct the proper diagnostic tests. The medical specialists may offer a prognosis and estimate the medical costs, including the future medical expenses. An experienced attorney can present the case to an insurance adjuster or defense attorney, and if settlement discussions are unfruitful, he or she can present the case to a jury in a trial. This may maximize the economic and noneconomic damages that you might receive. To schedule your free consultation with a Los Angeles traumatic brain injury lawyer who has more than 20 years of experience in litigating brain accident and injury cases, call our toll-free head trauma helpline at 866-966-5240.